Private Residence, Chapel Hill. 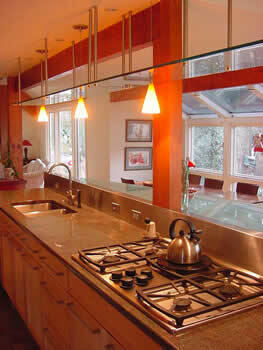 This Chapel Hill kitchen remodel integrates a stainless steel backsplash with the granite. This granite, known as Tropical Violet, is actually a deep, rich, green with a right to left grain. It has deep, rich, red highlights.